Ryoshi Japanese Sanur is just one of the locations of this popular Japanese restaurant chain, which has been described as one of Bali’s best chains for Japanese cuisine. 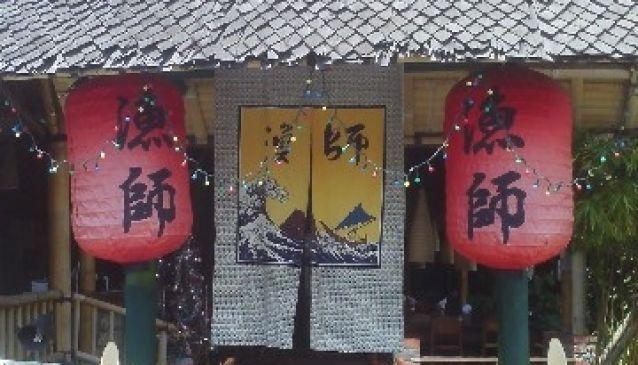 This Japanese eatery offers an extensive menu including sashimi, tonkatsu, tempura and soba-udon; however it is clearly their sushi which drives the customers in, as each Ryoshi restaurant, the others being located in Seminyak, Ubud and Kuta, has noted that their sushi is the most popular dish. Pick your seats from the indoor air conditioned area, the sushi bar, or the outside dining area, which all have access to free Wifi internet. Serving lunch and dinner seven days a week, this small and simple restaurant may be decorated with Japanese style, but it charges Bali prices making it an affordable and tasty place to eat out.